Discover the Treasures in Christ and YOU! Enter your email address to subscribe to this blog and receive notifications of new posts by email. If you don’t see the Confirmation Email, check your Junk Folder. The next two posts are little off topic, but it’s related since I made a visit to the Holy Land and I want to share. Yea! This definitely was a dream trip and I hope to go again one day. I’m thankful to God for allowing me to go (especially after a few health challenges) and protected our group even when 2 rockets were dropped near Tel Aviv. After a 10 hour flight, we hit the ground running and went on our first tour. I thought we were stopping by the hotel first, but I guess I didn’t hear the part that we weren’t. One of the first places we visited was Cesarea, one of King Herod’s palaces (basilea), which later became the seat of a Roman Ruler. The back drop of the palace was the Mediterranean Sea, absolutely breathtaking. At the end of the tour we stopped at an ice cream shop. I got Berrie something, and it tasted wonderful. Not like ice cream, I don’t know if any cream was in it at all; more like juiced berries, without a lot of ice, but whatever the ingredients, it was good! Then it was time for lunch and we had our choice of Falafel or Schnitzel. I chose the Falafel (fried Chickpeas with herbs and spices), it came in a Pita and there was a Salad and Fixins’ bar of items you could either eat alone or put in the Pita with the Falafel. Later I learned that Falafel is the ultimate street food in Israel. The Schnitzel was flattened & breaded chicken (I always thought it was a traditional German dish). Next, we visited one of Solomon’s palaces in Meggedo (Armageddon). Asked about the battle of Armageddon, which the guide, who was Jewish, referred to as the “Apocalypso”. She said since that’s not in the Jewish Talmud, she wasn’t too knowledgeable about it. On our walk up to the palace, we saw a few lizards; some very large and one person said it looked like a baby dinosaur in Jurassic Park. Lol…moving right along. The palace was huge and we even saw where the horses were kept; all I can say is the horses were living pretty darn well. We also went down in the cistern at the palace and each time I thought we were getting to the bottom, another flight of steps appeared. When I say it was waaay down, I mean it was waaay down. The last set of steps had slates you could see through, not my favorite. When I saw those steps I had to concentrate to continue (still have a little fear when it comes to these types of steps). Turning back was not an option, as the only way to return to the bus was to backtrack the way we came (like I remembered), so downward and onward, fears and all. By the end of the day I was thoroughly confused…we left N.J. on Monday afternoon, arrived in Israel Tuesday morning (they are seven hours ahead), then toured all day. By evening, I wasn’t sure what day it was, all I knew is I was tired! 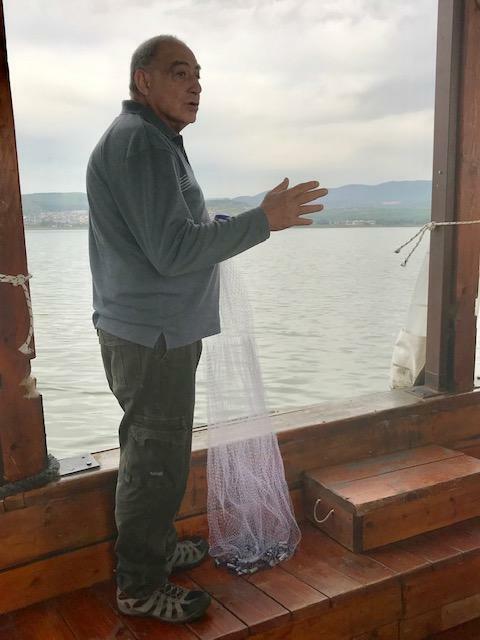 Short ride on a fishing boat on the Sea of Galilee to Ginnosar; the same sea that Jesus walked on (Mark 6:47-51). Our Pastor, Victor O. Kirk, gave a sermonette and afterwards I felt led to give my testimony of all God had brought me through (diagnosed with cancer twice and all the things that came along with it, including heart issues and more). We were taught a traditional Jewish Celebration Dance, danced to the song, Hava Nigila. The fisherman showed us how to cast a net for the fish…cast net in for a few seconds, then pull it up. Also, learned that Talapia is a native fish of Israel; what we get in the U.S. is it’s 5th cousin removed, the farm raised version. In Ginnosar, we saw an actual fishing boat, found and preserved , from Jesus’ time. We also did a little shopping at the Jesus Boat Store. They actually take U.S. dollars and the dollar equals 3.64 of the Israeli Shekel. Also, For lunch we had fresh Talapia, the whole fish (head and all). It was delicious! I’m quickly learning that Pita Bread is served with almost every meal. Visited the Mount of Beatitude, site of the Sermon on the Mount (Matthew 5:1-11). Also, visited Mount Carmel where Elijah challenged the prophets of Baal to a contest, but alas Baal didn’t show, but my God did by raining down fire from heaven which burned the sacrifice and dried up the water surrounding the alter (Kings 18:24-40). We ate dinner, then a vendor who sold necklaces, bracelets and charms came to the hotel and my name was in the brochure. I was confused at first and thought maybe they had personalized it to lure me in, but the guide showed me it was in all the brochures. I NEVER see my name. I see Carol, Carolyn, Carla but never “Carlyn”. Wow! I had to come all the way to Israel to see my name in a brochure. This must be a sign, so of course I got a bracelet with my name written in English and Hebrew. I asked if my name had a Hebrew meaning, the guide told me No. Oh well! I’ll continue sharing my sojourn in the next blog. Until then, Shalom! Carlyn Paschall @ Herod’s Palace, author of the Treasure in Christ blog. Today and everyday, you are loved. 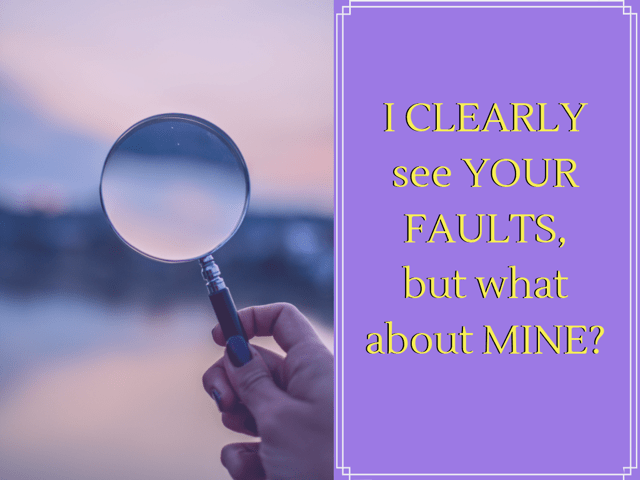 Why is it we can clearly see and of course have an opinion about another’s situation or flaws, yet we can’t see our own? Is it easier to point out issues in someone else’s life than deal with our own? It’s like we have a magical Magnifying Glass that only views others. Do I Have Dirty Laundry? Why are we so quick to point out the error in the ways of others, but we can’t or won’t look at those same faults in us. We refuse too look in the mirror, because we are too busy examining and picking others apart. It amazes me how some people can talk about someone else’s issue, when they are guilty of the exact same thing. I knew someone who did this all the time, it seem they were blind to their own character flaws. I guess that’s why there is the scripture about the Speck and Log, that we should all heed. “And why worry about a speck in your friend’s eye when you have a log in your own? How can you think of saying to your friend, ‘Let me help you get rid of that speck in your eye,’ when you can’t see past the log in your own eye? Hypocrite! First get rid of the log in your own eye; then you will see well enough to deal with the speck in your friend’s eye”. Also, why are we over there doing for Mrs Doe who’s an elderly woman in our neighborhood, who has children and family? We run her errands, pick up groceries and medicines, all the time complaining that her family should be doing it (and they should), while we don’t do the same for our own elderly parents or family members. Trust me, the people who are doing for your parents or relatives are wondering why you aren’t doing due diligence for your own. Do for them first and after you have done for them, then help others. If you see something that needs to be done, do it, don’t point it out and talk about it. I believe honoring your parents includes taking care of them when they are old and not leaving the responsibilities to others. See 1 Timothy 5:4 and Exodus 20:12. I recently read an article about a daughter who put her elderly father, who had dementia, on a plane, alone and sent him to his unknowing ex-wife across the country, because she couldn’t deal with him. Clearly she was not honoring her father. An example, Mindy keeps a terrible house, but have you looked at yours lately? I definitely don’t need to throw stones or talk about someone else’s house. Lol. By the way, there may be extenuating circumstances as to why her house is that way or maybe you can lovingly offer some organization and cleaning tips. Let’s focus on being better, let’s look at our own log before we start pointing out the specks in someone elses life. Let’s be genuinely concerned about others and see if it’s a reason for their actions. Maybe someone slurs a little, not because of an alcohol problem, but they had a stroke and one time couldn’t speak at all. Perhaps someone does have an alcohol or drug issue; they may have loss someone they loved and couldn’t cope; feel like a failure at life; have guilt or some other type of pain they are trying to escape. The very least we can do is pray for them, not talk about them, point our finger and remind them of their imperfections (I’m sure Satan is doing all of this and more). Pray for others. It’s not about us all the time. If you fall a few times, get back on the proverbial horse and see it as life lesson! You are not a failure! Introduce Fasting to your routine. One day fast scaring you, start small, try giving up one meal to start. Fasting not only draws you closer to God, but it has physical benefits too. Encourage others! We all need encouragement sometimes. Hello, Hello, Hellooo. I know you’re busy, so I’m giving you a little tap on the shoulder to get your attention! Finally, Lol. It’s almost the day mankind has chosen to celebrate the birth of my son, Jesus the Christ. I know you can’t forget with all this tinsel, decoration and presents. Wow! Christmas is drawing near and the holiday hustle and bustle has already begun. Sending cards, decorating, hanging lights and wrapping gifts. Yes, it’s that season again. We are listening to holiday songs and celebrating, but why? What is Christmas really about? Is it about a Santa Clause, Rudolph; and the Grinch? I remember one comedy show said Santa, actually spelled Satan when the letters were switched. It was said as a joke, but it may not be far from the truth. We have taken our focus off the Christ in Christmas. Instead, we think about our gift list, shopping, the endless hours of Christmas shows we watch, parties and celebrations, but how often do we think about Jesus? He really is the reason for the season. Also, as convenient as it maybe to use Xmas instead of Christmas, I always try to spell it out now (I didn’t use to), to remind myself why Christmas exists. It’s about the birth of Christ. Let’s keep Him as the center of our festivities this season and if we start feeling overwhelmed, remember it’s about Him, not the gifts, the big meal, decorating or other Christmas activities. Let’s truly fellowship with each other; bask in the love Christ has for us and share His love with others. Do something nice for an unsuspecting person. Buy an extra gift, pay for the car behind you when you go through the drive-thru, give generously to organizations who are providing Christmas meals to the homeless or cook some extra just for them, along with giving them items to keep them warm this Winter (socks, gloves, hats, hand warmers, blankets, etc). See below for other organizations you can give to. Love is the true meaning of Christmas. Give it to one another. BTW, I love the scene at the end of “How the Grinch Stole Christmas”, when everyone is holding hands and singing with no gifts or celebratory food, just pure love! Yes, cliche as it maybe, Jesus is the Reason for the Season! Do we really remember what Christmas is about? 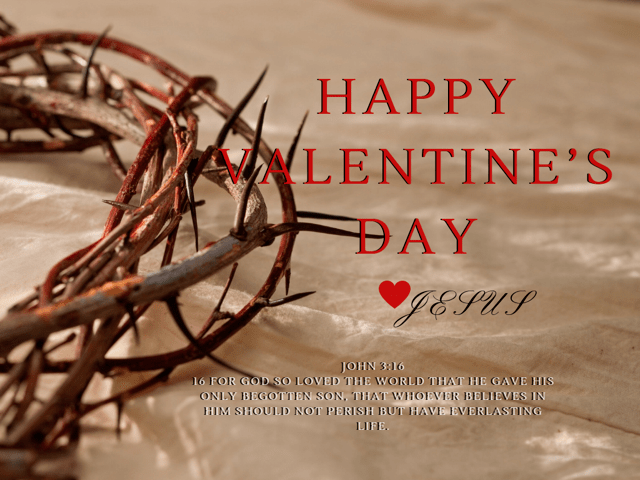 Let’s stop and thank God for the greatest gift of all, JESUS! To you and your family, have a safe and peaceful Thanksgiving. We have a lot to be thankful for. Even if things aren’t perfect, such as our health, finances or relationships, we still can give thanks. Things may not be where we want them, but we have a chance to reflect on what we do have. Remember, there’s always something to be grateful for, no matter how small or inconsequential it may seem. I would hear people testify about being thankful for the breath in their lungs. What, breath in your lungs? Until I experienced shortness of breath, I couldn’t relate, but now I can. I praise God I don’t have to have an Oxygen Tank following me around and I’m not on a respirator or some other breathing mechanism. Let’s share our blessings. Take a plate or two to your neighbor who can’t afford a big dinner, or someone who’s sick; visit someone in the hospital or nursing home, or take time to feed the homeless (make some extra just for them). God may not physically rain down Turkeys on the less fortunate, but if He’s blessed us, we can rain on them from the overflow at our tables. Let’s say a prayer for those less fortunate and share the blessings we do have. A Change is Coming…are you in the way? Oh Lord, please change Mike, Sue and Marylou. We fast and pray, with tears streaming down our face, for years asking God to save people, to change them, deliver them, etc. You want your husband to rise up and be the Priest and King of your household, but you consistently speak of his failures, flaws and negative habits. You want your wife to be the Proverbs 31 woman, but you always point out her short comings. You say you want the person to change, but do you really? After all, if they change, you’ll have to change too. The good news is GOD LOVES YOU! You are an exquisite painting God created stoke by stroke, adding all of the subtle nuisances that make you unique and precious. What seems like a shut door, an injustice, or betrayal is God’s way of protecting you from more of the same. If you choose to go down that road again, it will result in tears, heartache and pain. Yes, God is protecting you from all of this and while you may have temporary pain, it’s better than being permanently scarred with a wound that won’t heal. Also, please rid your mind of the nagging “what if’s”. You may never know the “what if’s” of the future, but if that person has repeatedly lied, cheated and hurt you over and over, chances are the future will be more of the same. You are beautiful inside and out, with a loving spirit and gentle heart. God knows this and he’s protecting you from your bad decisions, “maybe this time…”, “by now they should have it together”, “this time I know it’ll be different”, etc. While some people do change, if they have made the same mistakes, year after year, chances are they won’t. And you can’t move on with “what if” looming in your thoughts. Maya Angelo once said “If somebody shows you who they are, believe them”. Our problem is we don’t want to. We put on our Rose colored glasses and see what we want to see and make excuses to ourselves and others, for why the person did X,Y and Z. If the writing is on the wall, read it and heed it. It’s time to leave the past behind, “Behold, I will do a new thing, now it shall spring up. Shall you not know it?” Isaiah 43:19. If you’re doing everything you can to hold onto the past, it’s doubtful that you will ever know what the new thing is. This is your new beginning. Leave the past in the past, along with all of your hurts, anger and emotional wounds. God has something much better for you. Let me say that again, God has something much better for you. Yes, it may mean being alone for a while, but God has to cut those emotional ties and heal your wounds, else you will always keep that door to your past cracked. Please close that door and ask God to remove any and all reminents of those feelings you have for him/her. God wants that door shut, closed, and sealed. Then, He has to build you up and prepare you for that special someone He may have for you. Don’t throw your future away, because you are still chained to the past. Be done with it once and for all. Remember, you are beautiful, inside and out. Don’t let someone who dosen’t appreciate you and know your worth keep you down. Lift up your head and wear your crown proudly. After all, you are a Prince/Princess of the king, made in His image. Who would want to mar such a stunning being as you? Only one who doesn’t deserve you! Churchgoer, Saved or a Disciple. Do you Know the Difference? Many people attend church services Sunday or Saturday and walk away completely satisfied that they’ve met their spiritual obligation for the week. We put on our church face, our Sunday Best, perfume/cologne and of course throw out our favorite spiritual lines…I’m Blessed and highly favored, Praise the Lord, I’m too blessed to be stressed. Sound familiar?